Abandoned and covered in graffiti, this circa 1900 house in Rankin was an eyesore and about to be demolished. Today, completely renovated and updated to modern standards, it has a proud family calling it their new home. In late January, Oscar and Monica Daniels signed the paperwork to take ownership of this 2,800-square-foot house that features a finished attic with a cupola and commanding views of the Rankin Bridge and the Monongahela River. The couple plans to live there with their children. The house was vacant and abandoned when the Redevelopment Authority of Allegheny County seized it in 2011. 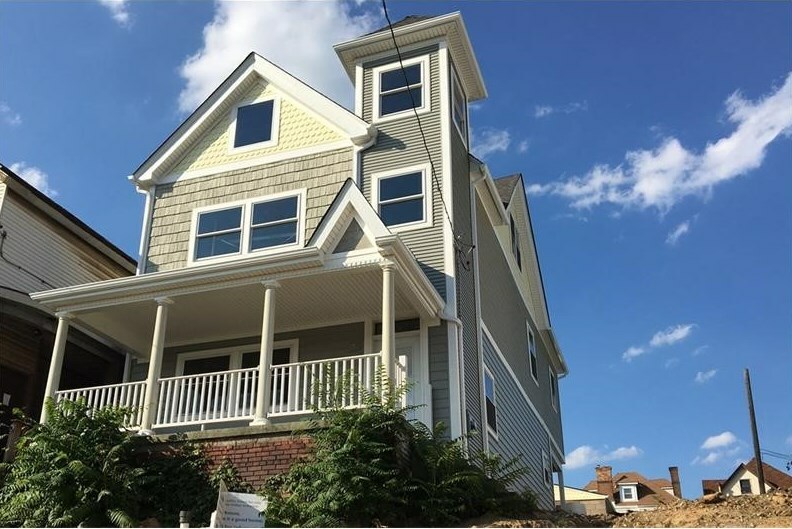 Mon Valley Initiative assumed ownership four years later and contractors hired by MVI gutted and rebuilt the home under the direction of senior construction managers Rick Dunn and John Bachetti and real estate development director Patrick Shattuck. Construction was completed in late 2016. A non-profit corporation based in Homestead, MVI and its coalition partner, the Rankin Community Development Corp., have renovated several other houses along the same street over the past few years. For information about construction and real estate development services provided by MVI, contact Patrick Shattuck at pshattuck@monvalleyinitiative.com. 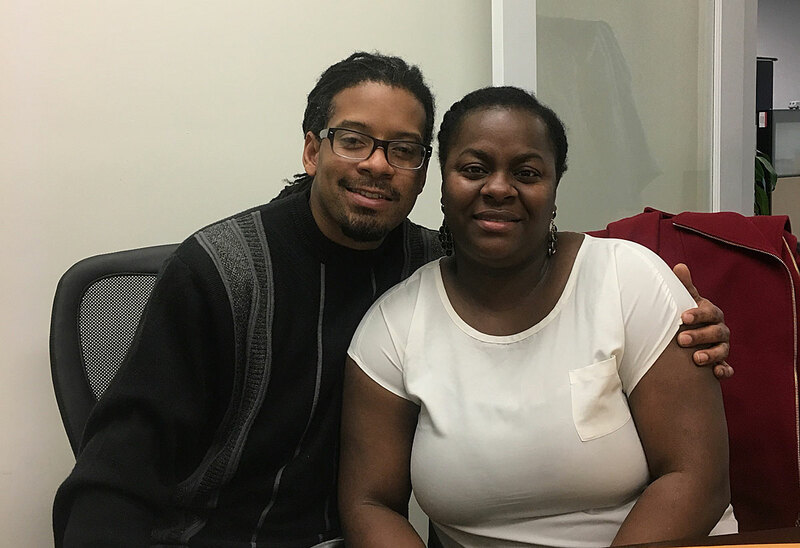 Monica and Oscar Daniels (above) also completed free homebuyer education sessions offered through Mon Valley Initiative. For information about MVI’s free housing counseling, call Jonathan Weaver (412) 464-4000 or email jweaver@monvalleyinitiative.com. Persons who take advantage of housing counseling through MVI are not obligated in any way to purchase a home from MVI.